There are nearly twenty holes in this rather small area. They reveal the locations where objects have previously hung. 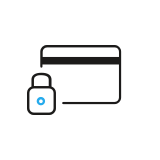 As with most pieces, there is typically a key area where the best viewing is offered. This is usually at eye level. In a gallery for example, the center of a piece is typically about 5 - 5.5 feet up from the floor. So most wall damage is at about 6 - 7 feet above the floor, as this is where the hanging apparatus extends to behind the object. The above photo shows the cumulative damage caused by repeated displays in this old historic location. It is quite a beltway of damage. Not only can this make it difficult to find a virgin location to place a new item, where prior holes are not an issue for securely mounting the new piece, but eventually the integrity of the wall comes into question, as we must realize old walls in historic buildings are almost always load bearing. Then there is the visual blight. Note how much attention is drawn to all those holes. There is another less obvious challenge to setting a display on a masonry surface - adjustments. 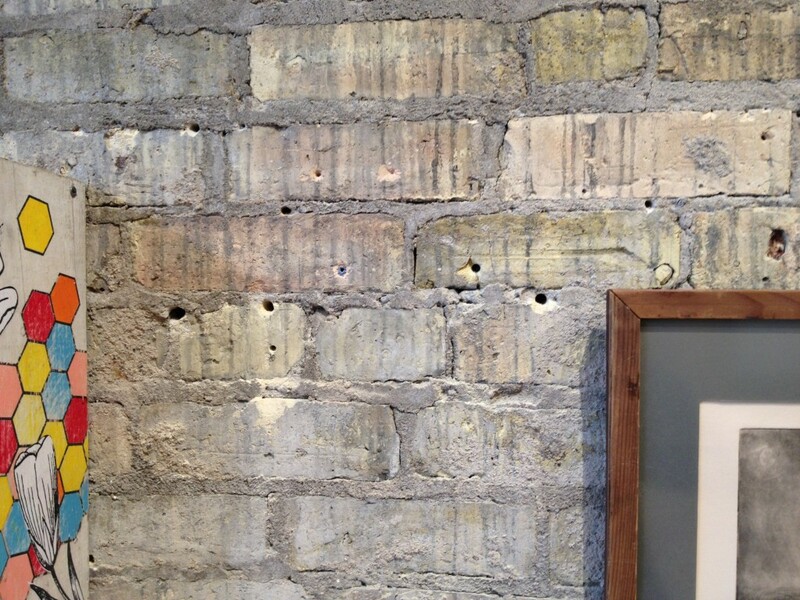 When creating an art display, for example, on a conventional wall made from gypsum board, a misplaced nail hole is not a great tragedy. If a nail needs to be moved a couple inches, oh well. Now there are two holes to patch, sand and paint the next time around. However, on a brick wall the damage is more permanent and more difficult to mask. Further, most repair techniques lessen the visual character that makes brick walls so popular. Of course if you have the budget and a team of Disney Imagineers at your disposal, anything is possible. The answer is to not drill holes, drive screws, or to hammer nails into brick or masonry walls ever again. But that leaves us with the original question, How do we hang art, photos, displays, or signs on brick walls? Use a hanging system. These are also known by other names such as gallery system, art rail system, etc. 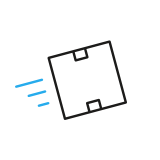 They typically consist of a track mounted high on a wall, or ceiling. 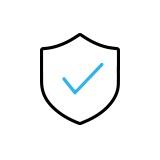 To this hangs a cable or rod; and a fitting, gripper or hook attaches the sign or framed object to the rod or cable. 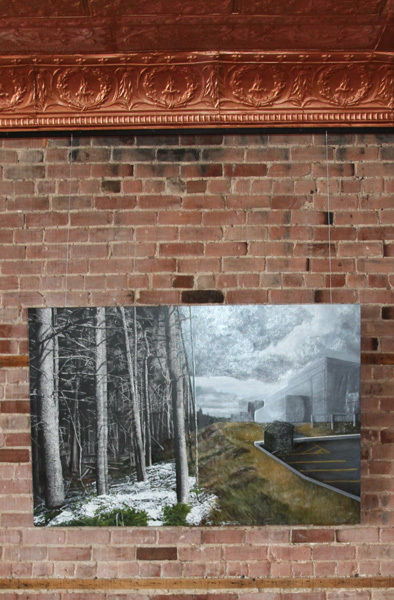 Art, objects, and pieces of all types are being hung on brick walls regularly with captivating results and without doing repeated and obtrusive damage. 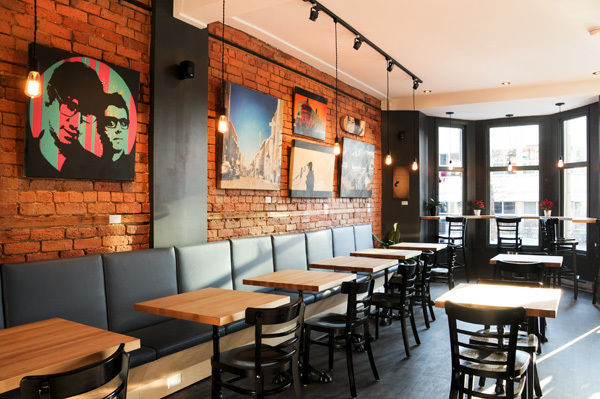 For the following images, we'll share with you just how hanging art on brick or concrete block (CMU) walls can not only be beautifully achieved, but any of these wall arrangements or galleries can be changed with little effort - and no more damage to the wall itself. In this first instance, the interior space is dominated by an aged red brick wall, vintage pressed tin ceiling and cornice. Our Classic Wall Track was mounted immediately below the cornice. In this case the business owner selected the track, finished in black, to create a nice hard line between the two elements. This is a tactic that adds visual height to the space - but that is a different story for a different day. To this track you can barely see two cables suspended from the track. These are a patented design of ours that allows for the cable to pass very close to the wall surface. In the next photo you will also find a black finished track was placed high on the wall. It nicely compliments the many black details in the space. The result is that, though the track is several inches from the ceiling, it does not draw undue attention. Placing the track at this elevation on the wall was important for a reason common in many vintage spaces. Often the ceiling/wall juncture is very uneven. Locating a rigid track at that location can be problematic. This is a good example of a compensation tactic that works very well in this space. It comes off so nicely because of good color selection and because the track was placed in line with other architectural details. Note how the track is parallel to the other two lower ceiling elements, a beam and the ceiling of the bay window area. This installation of Click Rail Track allows the café owner to routinely display art from local artists. Better yet, the frequently changing displays are now easy to change and there is no wall damage. It is a great service to the local art community and allows the café to change the display regularly, keeping a fresh, new and changing appearance. This last brick wall photo shows a brick wall in a residence. Hanging systems are equally effective in condos, town-homes, lofts and single-family residences as they are in commercial structures and businesses. Commonly found in schools and other educational and municipal settings, walls made from concrete masonry units (CMU) or cinder blocks, as they are referred to in some regions, are extremely durable and are a particularly economical building approach. 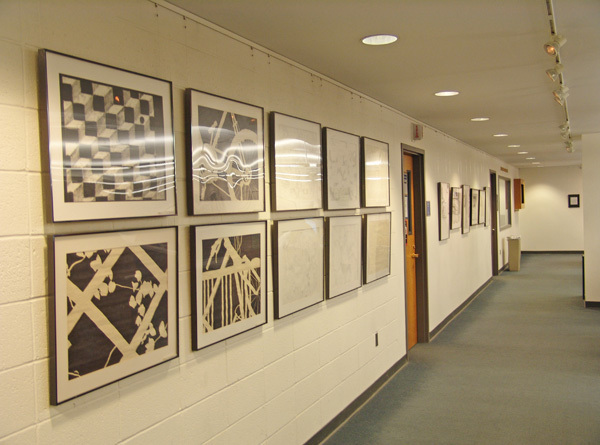 However, the same challenges of hanging displays of various types on CMU walls are present as in brick construction. But perhaps because of the types of building use in which this form of construction is found, the issues with frequently changing displays, and the associated damage, are exaggerated. 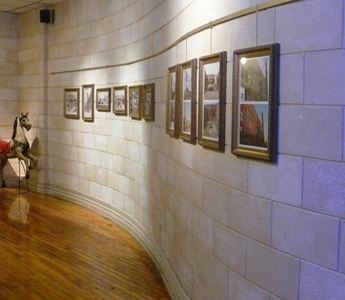 The following photo shows a display wall in a church community center. The block walls are protected from damage by the use of a hanging system. The track was installed a bit higher than is typical. This was done to locate it above the common line of sight and certainly above the illuminated spot focus. 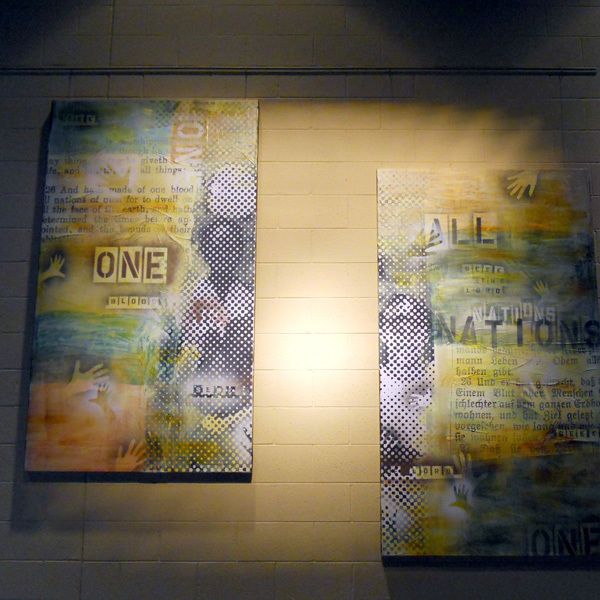 This wall display changes frequently, the messaging changes depending on the time of the liturgical year and other topical themes. Displays can be set quickly and all the hardware is reusable, making good use of limited budgets. The following photo shows a corridor in a collegiate art department. Click Rail was fastened to the wall immediately adjacent to the ceiling. Note how the track was installed the entire length of the wall, even above openings such as doors and windows. This is the correct approach. Track should be treated as an architectural feature. It should be installed in the entire space or on the entire length of a wall. These CMU are left undamaged even with very frequent changes of art on display. The fine adjustments needed to make the row and column matrix look orderly is quite easily accomplished with a hanging system and not at all easy with conventional hanging hardware. For a more high-tech appearance associated with corporate brag walls or corporate branding, a tensioned system (below) can be used in place of the more common suspended approach (all above examples). 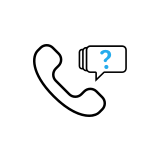 In a tensioned cable system, the cable is held in tension with some sort of spring adjuster between two parallel tracks, one above and another below the display. The following installation is based on our Contempo® Track, which is made of a slender metallic band floating in front of the wall surface by small standoffs, which are included with the track. Further, the unframed panels, which are typically very difficult to wall mount, are held in place by our Panel Hooks. The cables are tensioned by our Spring Tensioners. One of the more challenging situations is in hanging objects from a curved masonry wall. It is a real curve ball. There I said it. This photo again features our Contempo System. It can be field installed against a flat, concave or convex surface and assumes the shape of the host surface right down to a 6-inch radius. It would be unthinkable to have repeated hole damage in such elaborate stone slab walls such as those found at the Rapid City, SD regional airport terminal, below. 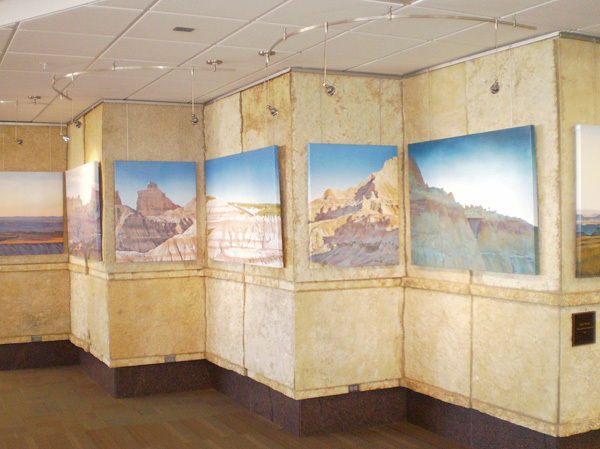 Celebrating the regions natural scenic geologic formations, South Dakota limestone slabs surface the walls of an area reserved for art display. 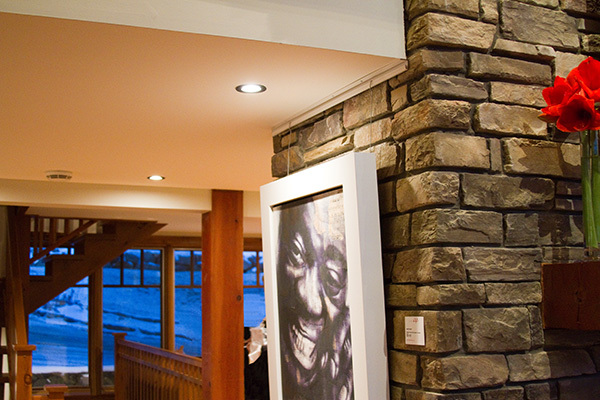 AS Hanging Systems Classic Wall Track and J-End Rods were used to suspend stretched canvas prints. The original designs for this space specified hanging systems and so - there were never any holes placed in the stone slabs. Compliments to the architect/designer who anticipated the problem. You'll notice below, or perhaps not, how Classic Ceiling Track disappears into the ceiling. The use of cables, which are visually lost against the rough background, allows the art frame to appear as if it is floating on the rugged stone wall. Ceiling Track is a good choice for anchoring a hanging system in this sort of application. Rock wall surfaces are typically too irregular to allow direct attachment of a track directly to the wall. 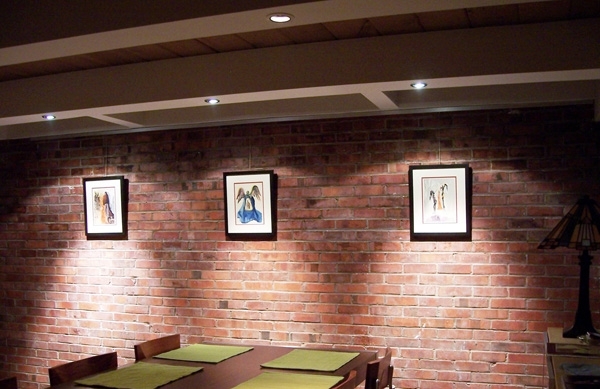 As you can see, though the question is often asked: How to hang art on brick walls? There are many answers and ways to address the situation. 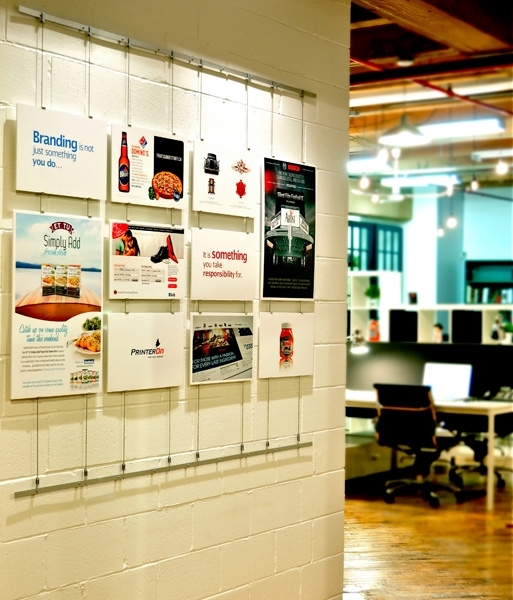 If you'd like to learn more about how to hang art or signage on brick walls or would like to learn more about how our products can be beneficial in your project, please contact our Customer Support at info@ashanging.com, or give us a call at 866 935-6949 (toll free) or at our local number 450 619-7999.